Menorca is a Spanish island that is located in the Mediterranean Sea. It is one of the Balearic Islands, and is often considered to be the smaller, quieter little sister to nearby Majorca. When you are thinking of booking a holiday to the stunning island of Menorca, then you should consider staying somewhere that is in the central region on the south shore, such as Cala Galdana. Cala Galdana villa rentals give you access to some of the best beaches and the lovely interior of the island. 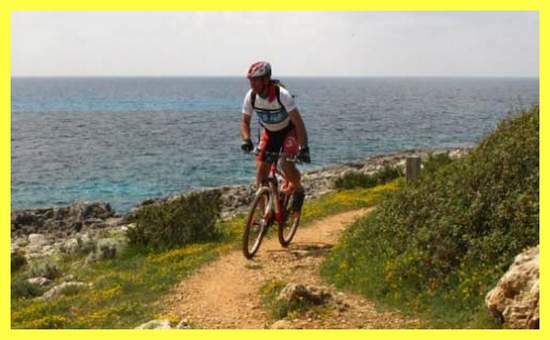 It is a great place for a relaxing getaway, and should you decide that you want to get out and about and see the history of the island, which dates back to pre-historic times which can be seen through the monoliths dotted about, getting around on bicycle is one of the best options. Starting out from Cala Galdana, villa locations near the shore give you access to the rolling hills of the interior of the island to cycle over. Or, should you want to stay near the amazingly blue waters, then following the coastal paths is another great option for a morning or an afternoon out in the air and enjoying a bit of leisurely exercise. If the sea air and the taste of salt gently blowing on your skin is what you love about staying near Cala Galdana, villa rentals right on the water are ideal for you. From this vantage, you can catch the Camí de Cavalls, which is a 186 kilometre route that circles the island. It is an ancient route that was originally built to connect the watchtowers, but in recent years it has been opened up to walkers, horse riders and cyclists. On this path you can roll along the shoreline and enjoy all the best bits of the island’s beach-front views while not being too taxed by the hills that are found more towards the centre of the island. While you travel along, be sure to take time to stop into the many towns and villages that the path takes you through, where you can spend a night, or get transport back to your villa. Instead of daunting mountain-scapes, the interior of Menorca is filled with hills that roll and undulate. If you want to be able to explore some of the interior of the island, then stay near Cala Galdana, villa locations here will make it possible for you to enjoy the paths that crisscross the island. The small country roads make up part of the six main biking routes that have been marked out and signposted along the way. You can pick up a map of these routes from tourist information sites. These routes highlight the local historical and cultural interest and are great for stopping off on along the way. Be sure to give the route from Cuitadella to Ferreries a try. The beautiful fields and stone walls the route passes by makes it an unforgettable biking trip, where you can stop off at any number of museums along the way. Or, if you prefer to go south, try your legs on the twelve kilometre route from Alaior to Mao.